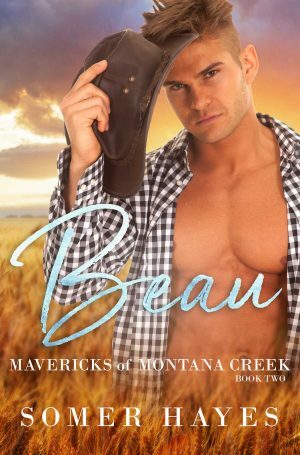 Beau Maverick has a great life—a close family, a thriving veterinary practice, and the privilege of being a Maverick in Great Falls, Montana. After the death of his beloved mother, he throws himself into her role of charitable and philanthropic duties in the community. He was least interested in being on the chair of the local symphony, but when the feisty new director comes to town, he finds the challenge brings with it a spark of life. Grace Sutherland is devastated at the news that the Manchester Philharmonic in her hometown in New Hampshire has voted to relocate her to assist one of their lesser known symphonies in a small town in Montana. She accepts the challenge and is determined to get out of Montana as quickly as possible. Unfortunately for her, the chair of her new board might make that difficult.